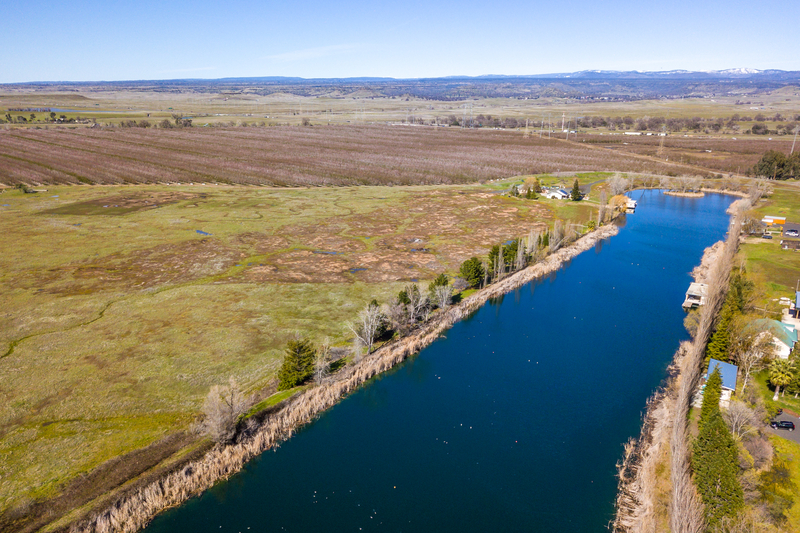 Private Ski Lake for Sale!! DREAM HOME! Own a home on a private SKI LAKE! 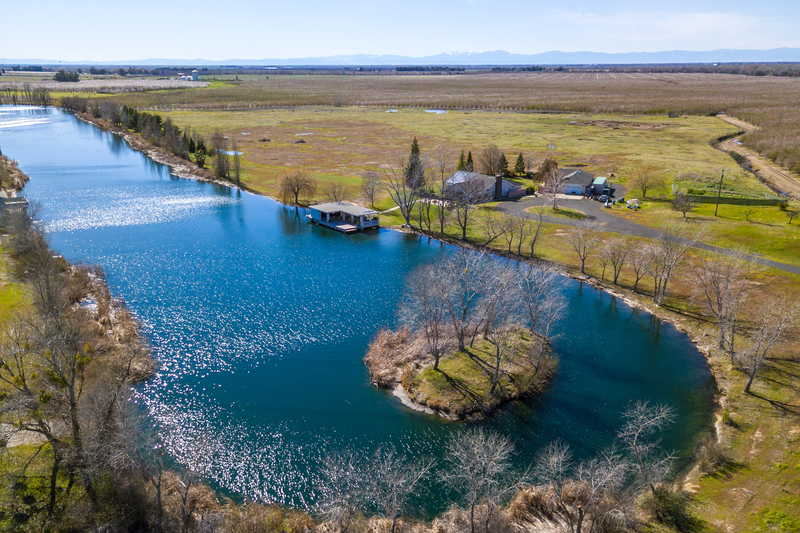 Surround yourself with 20 acres of gorgeous lake views, bordering almond orchards, stunning sunsets and only 15 minutes from Chico. 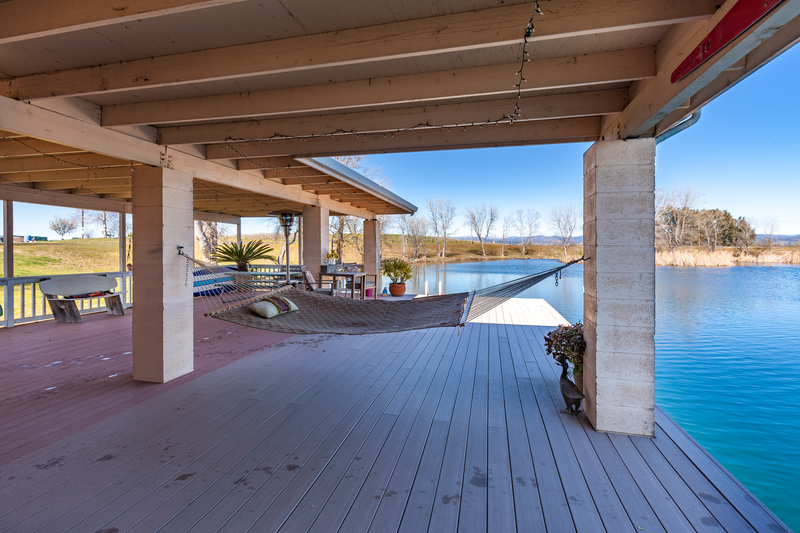 Only 4 homes share this 15 surface acres of lake and it has Bass FISHING! The main home is 2500 sqft with 4 bedrooms and 2 bathrooms. This split floor plan has a large master bedroom with sliding glass doors that overlook the lake. Master bathroom with a soaking jetted tub, walk in shower, walk in closet and 2 linen closets. Large dining area and separate sitting area the sellers use as their piano room. Large kitchen with lake views, dining nook, stainless steel appliances, bar top seating. Adorable living room with wood burning fireplace, tile surround and mantle. On the other side of the home you will find 2 more bedrooms and office with built in shelves and desk. Additional 1600 sqft detached building with 2 car garage, huge shop (with garage door) and guest quarters with bathroom. This amazing home also features a whole house fan, terracotta tile throughout, fresh interior paint, leased solar, tons of room for all your toys and RV, raised garden beds and a BOAT HOUSE with nearly 1500 sqft of deck! Call the Platinum Partners Real Estate Team at 771.9640 for more information! Hate to see someone sell a lake house, but Wow. A link to the formal listing to see additional pics, location and pricing would be very helpful to your cause. Looks like Matt's house ? That’s not the ridge is it’s marcus’ place. 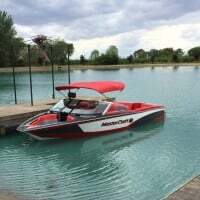 Sure looks like a good price if the deal includes the lake use. Might be tight clearances if a jump ramp is to be fit in, but workable for at least practice jumping, heading in the Southwest direction. Narrow in some areas, even for slalom: under 50 meters wide.